Certainly all necessary rules of etiquette we could all still learn and apply today ~ I for one do lament the loss of the letter-writing culture…! 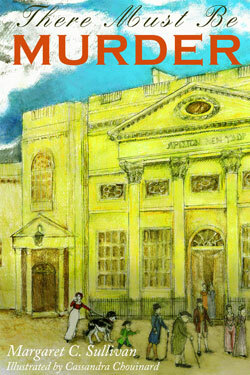 An Appendix includes a short biography of Austen, a page summary of the novels and other works, and a few words on the film adaptations. A short list of Resources, a very select Bibliography, a Glossary and index round it all out. Fortunately for us, Sullivan chose the latter, perhaps because, as her dedication so lovingly conveys, “For my mother, who let me read everything.” We should all follow such sage advice! 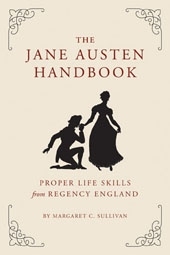 This entry was posted in Austen Literary History & Criticism, Books, Jane Austen, Jane Austen Popular Culture, Regency England, Social Life & Customs and tagged Austenblog, Jane Austen, Margaret Sullivan, Quirk Books, The Jane Austen Handbook, There Must Be Murder. Bookmark the permalink. Ahhh, Lady Margaret the Queen of Semicolon. I love both of these books too. Very nice shout out Deb. 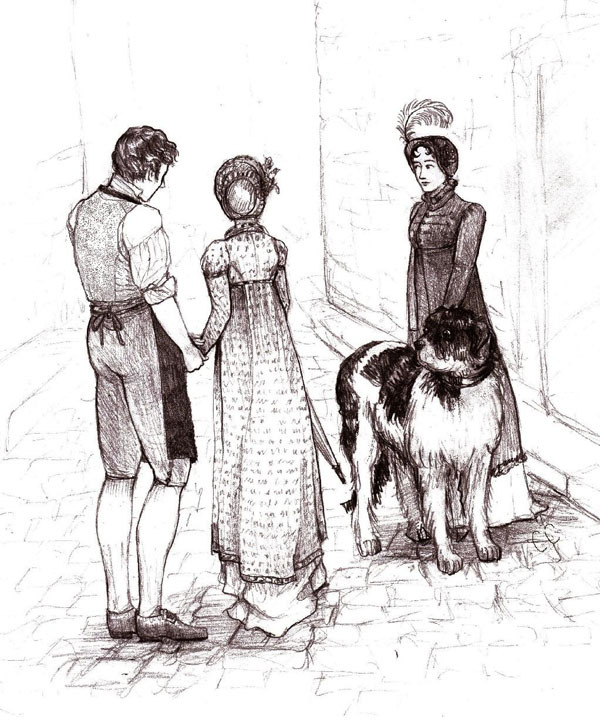 Thanks for visiting Laurel Ann – love your post on Lizzie Bennet! Hear, hear! I just finished There Must Be Murder yesterday, and I found it thoroughly enjoyable, too. Nice to hear that you enjoyed at as well – it is a treat isn’t it? – thanks for stopping by! Hi Deb–I just saw this. Thanks for the shout-out and the lovely reviews of my darling children. So glad you liked them! LA–queen of the semicolon! I love it! I think the semicolon is a misunderstood and much-neglected piece of punctuation. Hi Mags! – glad you found this – happy to give the shout-out about your two works – “Murder” is delightful – is there a sequel to the sequel in the offing? – isn’t it hard to let go of Henry? ?- also a lovely interview with Vic!